A professional organization dedicated to the protection of life, preservation of property, and the promotion of safety in an efficient and accountable manner to the community. We help promote fire prevention and education, respond to Fire, EMS, and Rescue calls for service and everything in between. 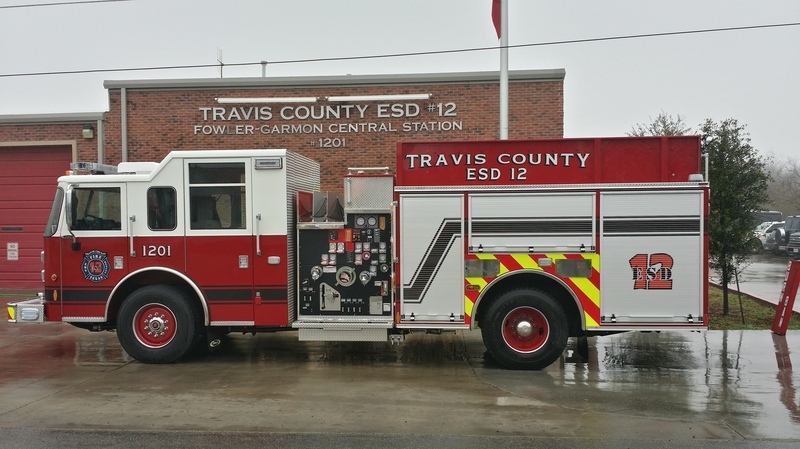 Welcome to the official website of Travis County ESD No.12 (aka Manor Fire Dept). TCESD12 is a fully paid career department serving approx 95 square miles of North East Travis County, including The City of Manor, The Village of Webberville, Littig, New Sweden, Decker Creek, 130 Toll Road, and the US Highway 290 corridor between Austin and Elgin. ESD12 services these areas with three stations that respond to over 4,000 emergencies annually. Emergency phone numbers should always be in sight and up to date. Discuss how to call for help in an emergency with children. Explain to children that firefighters, EMS, and police officers can help them in an emergency. 4. Give your name, address, and phone number. 5. Don't hang up until instructed. Take a first-aid and CPR course to ensure that you are prepared to deal with an emergency situation. Fire Prevention Division’s mission is to provide fire prevention and life safety services through education, code enforcement, and inspections during the new business development process, through general fire inspections, operating and special use permitting and complaint investigation. Fire Prevention is the key to saving lives and property. Fire Prevention education is the first step in the Fire Department's commitment to protecting the lives and property of our citizens, guests, and neighboring communities. Fire Prevention is the true "first responder". If you would like or need your home inspected and live in Travis County ESD 12, please give us a call at 512.272.4502. We would be happy to schedule a time to come out. You can download the form needed for the inspection HERE.